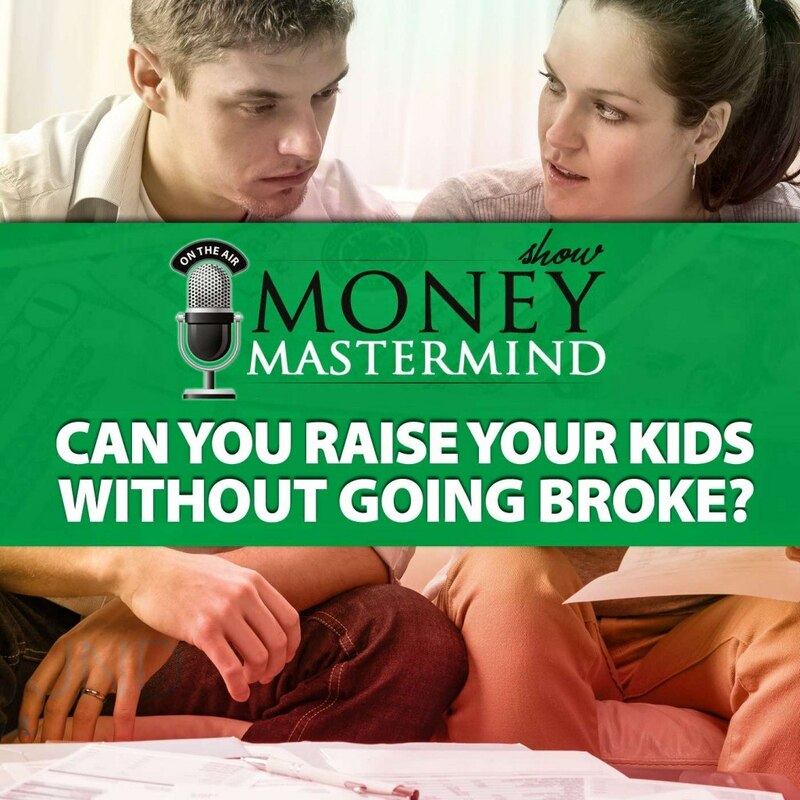 Home › Education, Podcast › MMS071: Can You Raise Your Kids Without Going Broke? Kids can be expensive. The USDA estimates that it costs more than $200,000 to raise one child from birth to college. Can you really raise your kids without going broke? Brynne from FemmeFrugality joins us to talk about raising kids on a budget. She also includes her perspective on raising a child with special needs. You don’t have to spend a fortune to raise your kids. We talked about how you can still provide great memories without breaking the bank. 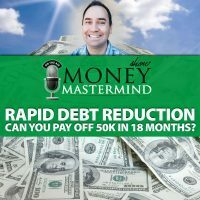 [0:00:18] MM: Welcome to the Money Mastermind Show. Tonight, we are talking about raising your kids without going broke. Joining us is Brynne Conroy from Femme Frugality, welcome to the show tonight Brynne. [0:00:32] BC: Thank you so much Miranda. [0:00:34] MM: Yeah, we’re glad to have you. 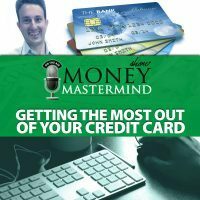 Also joining us tonight, the other members of the Money Mastermind Show, Kyle Prevost from Youngandthrifty.ca, Peter Anderson from Bible Money Matters and Tom Drake from Canadian Finance Blog. Our normal moderator, Glen Craig from Free from Broke is not here tonight so I will be moderating, I am Miranda Marquit from Plantingmoneyseeds.com. Before we get started, please go ahead and check out the Q&A app here on Google Hangouts if you’re watching live. We would love your questions, so if you have any questions about raising kids, saving money or any sort of comments that you want to make, go ahead and let us have it. We would love to read your questions and comments. So let’s go ahead and get started. So the USDA expects you to spend more than $200,000 raising your child from birth to age 18, but do you really have to spend that much? So Brynne, let’s start with you since you are our guest. Well first of all, do you have kids? [0:01:40] BC: I do, I do. I have two kids. [0:01:44] MM: That’s exciting, so you’re in this here so how many kids do you have. [0:01:49] BC: I have two. [0:01:52] MM: Right, sorry I meant to ask their ages, I’m sorry. MMS 71 Transcript [0:01:53] BC: Oh yeah, four and two so they’re pretty young still. [0:01:57] MM: Okay, great. So do you envision yourself spending $200,000 a piece on each of them? $200,000 each on your kids? [0:02:15] TD: I may have done it already it seems. [0:02:20] PA: Yeah, no, I don’t think so. There’s no way I am spending that much. [0:02:24] MM: Yeah, I’m more than halfway there with my son and we are not on track to spend $200,000. Okay so Brynne, where do you think this number comes from that the USDA gives us? What are some of these cost that they say that we’ve got for raising kids? [0:02:40] BC: I think part of that number when you break it down is the housing expenses. I think a lot of people go out and get bigger houses, they get mortgages, they start buying, they move out of the city and into the suburbs for school districts. I think that’s where the large portion of that number comes that makes it so insane. I also think that people spend more than they need to on top of all of that. [0:03:08] MM: So what are some of the big expenses that any of you have seen with kids? I mean, what are some of the big expenses? [0:03:17] PA: I’d like to just jump in real quick with that USDA study you guys are talking about. They said, the figures that I have were from 2013 and it was expected to spend $245,000 or so until the kid was 18 and that was broken down by these percentages. Housing was 30%, food was 16%, transportation 14%, child care and education 18%, health care 8%, clothing 6% and then miscellaneous 8% in there as well. So like you were saying that housing is a big chunk of it, child care and education is another big chunk as well, it’s almost half of it right there. [0:03:55] MM: Right and if you there, you can put your own individual stats and I actually did this with my son once to see how much they did and how much they expected to spend on my son. They took into account your income level, where you live and all that stuff and on an individual basis, the USDA thinks I should be spending $14,000 a year on my son. I am not spending $14,000 a year on my son, it’s not happening. But Tom has some interesting information. He says that he has it $200k, how did you do that Tom? Tell us, all about how you hit that number? [0:04:38] TD: Basically, I took some old data but we didn’t necessarily have a brand new survey here in Canada but I took a couple of old sources and just adjusted it for inflation. But like Brynne said, it’s pretty similar actually because not only is it just under $200,000 Canadian grand but it does include shelter and child care is the biggest expense in the numbers I have. Obviously, yeah you may not get a bigger house and you may not have child care so it doesn’t apply perfectly to everyone but it is an average. [0:05:35] TD: I might make up that difference on toys so. [0:05:38] KP: There is a little bit of an opportunity cost there though, right Tom? Even though it’s not $11,000 or whatever the number is coming out of your account for child care costs, assuming if it was just you and your wife, I have no idea, but it might be your wife might choose to work some hours whether it’s full time or part time, so there is an opportunity cost build in there as well. [0:05:58] TD: Oh for sure. If we never had kids, my wife would still be working. We’d have loads of money. [0:06:06] MM: C’est la vie. that’s taken from child care cost. [0:06:15] PA: I was going to say that it was one of those calculations we did as we were having kids as to whether my wife is going to continue working, we’re going to put our son into daycare or whatever. And we figured it out that we’d be making just a little bit more by her continuing to work. So it didn’t really made a lot of sense for us to do that because we wanted her to be able to stay home with our son as well. [0:06:39] MM: So what were some of the things that you guys decided to do Brynne? Are you staying at home? Is your husband staying at home? How does that work? [0:06:47] BC: Well, we both work. We’re also super lucky though, we have a ton of family in the area so we get free babysitting all the time and free “daycare”. But we are some of the fortunate few and we are very well aware and grateful for that because in our area, I think it runs around like $15K a year and it would have been worth it to work for me with that number but it’s still just insane. I don’t know, that’s a huge portion in your salary. [0:07:21] MM: Right, yeah definitely. So then what are some of the things, you said you definitely are not on track to spend $200,000 on each of your kids from birth to 18. So what are some of the things that you do to keep your cost down? entertainment things like going out to eat or even just children’s entertainment, I don’t think there’s a free thing in this city that my child has not done. [0:08:17] MM: Okay, well tell us where you live? Tell the audience where you live? [0:08:21] BC: Oh, I’m in Pittsburgh. [0:08:22] MM: Okay, alright, keep moving. So you’re in Pittsburgh and there’s no free kid things. [0:08:27] BC: No, there is so many free kid things. [0:08:29] MM: Oh there are, okay. [0:08:30] BC: We never pay for entertainment, yeah, it’s a really cool city. Also, it’s really funny, my toddler he picks up a lot of our money habits already and it’s kind of scary to hear them coming out of his mouth sometimes and it’s really good for us because it’s a direct reflection back to us and what we’re actually saying and what we’re actually living. A lot of times we’re happy with it so even at a really young age, he gets the concept of saving. We don’t have immediate gratification on our home. We have to work and earn things not that we rob them of childhood, there are some rewards and some fun days but just really instilling those values super young so that we don’t get to a point we’re spending so completely out of control. [0:09:20] MM: One of the things that I have a question then maybe is that you talk about this whole idea of robbing them of their childhood. We have this idea that children have to have certain things to have fun. Is that part of our problem? Is that maybe helping to drive the cost up? The fact that we’re like, “Oh, well we have to give them a really good childhood.” Is that part of the problem? me, I work, I value my career, that’s something that I’m really passionate about. But that sentiment I think is a good one where children thrive on the relationships and imagination, that’s how they learn, that’s how they have fun, that’s how they enjoy life. And I think as adults, sometimes we want to provide them with all the things and they learn to want that. I don’t think that’s necessarily what they need or what they naturally crave. [0:10:32] KP: But parents are competitive. I guess I don’t have maybe a whole lot to add to this conversation from a firsthand perspective but maybe I’ll be careful how I tread here but an outside the box perspective as someone who deals with a lot of kids and parents. Parents are competitive. Sometimes, I don’t even think it’s the kids are competitive. It’s not like keeping up with the neighbor next door, it’s keeping up with the neighbor’s kid next door where they’ve got to have the nicest jeans and they’re going to have, “Oh, they’re going to a summer camp? We’re going to a better summer camp. We’re going for two weeks instead of a week,” And “Oh, what did they get on their test? Oh no, we need a specific tutor to keep up with them.” So it becomes like this arms race of parents spending with no real goal in mind, I don’t think other than just to do better than the person next to you. [0:11:21] PA: It really is. You know there is a mindset of, if you want to you can spend a million dollars raising your kid if you want to. You can buy everything new, you can buy all the latest gadgets for your baby when they’re coming home with you, buy brand new baby clothes and toys. You can spend a lot of money raising your child if you want to, but there are so many places and so many ways that you can save money these days as well by buying second hand children’s clothes for example. You can buy brand new children’s clothes for a dollar or $2 for a pair of pants versus $15 or $20 at the store. [0:11:58] BC: Resale folks are my favorite, they’re the best. [0:12:03] PA: I’m sorry go ahead. take it in to the consignment shop. We could get in store credit for what we had turned in and then we could just turn around and spend that on the next size up of gently used clothing. [0:12:36] BC: Absolutely. Resale shops are a lot the same way. It’s just that you don’t have to go — they will tell you right there on the spot if they’re going to buy your clothes or not and some of them will give you cash but it’s pretty much the same idea as consignment and they’re both really, really awesome. [0:12:51] MM: Nice! And one of the things that you said earlier that really struck me was you said that you’re still work and you’re really passionate about your career, there have been recent studies that show that children of working mothers actually do pretty well. They have empathy and they’re a little bit more independent. Is that something that you see in your own kids? Is it something that you’re trying to foster in them or I don’t know? I just put it out there. [0:13:27] BC: No, I see — no, I see a lot of that in my own kids but I also see a lot of all the good things in my kids. I’m totally biased. I think that early childhood education plays a lot into that. I think that whenever you do have two parents working, those children are shown to have stronger social skills, stronger language skills when they’re younger. They may be more socially and emotionally mature at a younger age because of all that exposure and because a lot of times, they’re in a setting now where we have so much focus on early childhood education that they’re actually getting an education and they’re not just going to, well free play is a large part of it but they’re not going to somebody’s house. They’re going to a structured environment where they’re getting all of that input. So yes, I do think I see that in my own kids but I also know that those early childhood years and education that your kids get them in those place would do a lot. [0:14:29] MM: Yeah and I think it’s important to know too though that staying at home has lots of advantages for kids too when you have a parent that stays at home, and I think it depends on your family. It works well for you. I know that both Tom and Peter, both of your wives stay home so yeah. So what kind of benefits have you guys seen from that and not just financial but in other ways for your kids? [0:14:51] TD: They’re probably a bit closer with us is what we find in comparison with it, that parents that do work and I don’t mean that parents that work are not closer. [0:15:03] BC: No, I didn’t mean it like what I said offensively either. Those kids catch up but yeah, mine are the same way because they’re at home all the time. [0:15:14] TD: Yeah but one thing that we did notice though, by staying home and not being in some kind of daycare or something is that it did take them a little longer though to actually adjust to Kindergarten and pre-school before that. There’s negatives too where we just didn’t have any parents around us that really had kids that age. They kind of spent the first three or four years not having all these kids around them and they had to adjust to that. [0:15:45] MM: What about you Peter? What are some of the advantages you’ve seen for your son? [0:15:51] PA: Well, I think one of the big benefits is just that your child is getting that one on one care and you’re able to give them more attention, you’re able to take them up to do things, you’re able to teach them and raise them up in the way that you want them to grow up, teach them things that you want them to know. One of the big things I think about not spending way too much money on your kids is raising them up the right way and setting expectations with your kids as far as money goes. When we spend money, when we don’t about learning contentment and being happy with the things that you have and so forth. I think these days, a lot of times we’re expected to buy experiences and pay for things for our kids. We always want them to be engaged in doing things and being in activities and this and that and the other thing. I think back to my childhood, in the summertime instead of always activities, my mom would just send us outside to play in the backyard with some matches and look for something else to just go and explore and have some fun and just experience life. It doesn’t cost a lot of money to have fun. It’s for free. [0:17:06] MM: I don’t know. I think having the matches. [0:17:09] KP: Burning the house down. [0:17:10] MM: I was just going to say that, the matches might be an expensive decision. [0:17:13] PA: Well, we’re 13 years old maybe. Anyway, kids don’t need a lot of activities and a lot of high spending in order to have fun is the point of all that. [0:17:23] MM: That’s true. So what are some of the things then as they get older? I mean you guys all have children that are much younger than my son. You guys talk these wonderful high ideals of, “Oh, they can just run around and play outside and they’d be happy,” but things start to happen what Kyle was saying. When they start going to school and they start seeing other kids and seeing what other kids have and what other kids do, it kind of changes a little bit. And one of the things that I’ve run into is my son is all of a sudden he was at school and he was like, “Wait a sec, so and so has this and so and so does this,” and it changes things a little bit because yeah, you can teach them these things. You can try to teach them contentment and you can teach them these things all you want but once they get there and they’re bombarded with all of these new ideas and new messages, it’s really hard to maintain. And I’ve tried really hard to keep it reasonable for my son but you do want to have activities. I do want them to be in the band. I’m glad he’s in the band. I’m glad he wants to do fencing and so it does start to add up a little bit and do you guys have plans and place to prepare your finances for that point? I only had to do with one but Brynne and Tom have two already and I don’t know what Peter plans are but he’s got at least one right now. [0:19:02] TD: I’m scared of future kid’s activities. I know there’s family members pushing for boys to go into hockey. [0:19:08] KP: Don’t do that. [0:19:11] TD: Not only is ice hockey not the safest sport but the price of the equipment and all these trips they go on and stuff. [0:19:18] PA: It’s [inaudible] there Tom. [0:19:19] TD: Yeah, exactly, I think I’m going to push towards things like soccer and some few things like a ball and stuff and keep it cheap. The amount of different programs you can put kids into, it does scare me and the idea of driving around constantly and paying for all these stuff. [0:19:41] MM: Yeah, what about you Brynne? Are you going to have your kids do activities? What are you looking at here? [0:19:50] BC: Yeah, we have done a couple of really cheap league stuff like soccer. We’re going to be doing baseball in the spring but they’re not in school yet so we have the ability to choose, like we’re going to shop around for leagues. But when they get older, it’s going to be a hard pill to swallow. We’re going to have a budget. We’re probably not going to be able to do more than one activity at once like at one time per kid but I also view those things as an investment. Not just for them as people or something that’s isoterical like that but when we start talking about saving for college and everything, I think that’s one of the best investments you can make. Well, if they want to be not forcing them to do anything but if they want to be diversified and really appeal to a school, that’s probably gonna cut a good bit of their tuition if they can really be a good prospect for them. So a little bit of money now, hopefully a lot of savings later. [0:20:56] MM: See that’s a good point. I had a lot of scholarship offers and part of it was I had good grades but they weren’t anything super special but a lot of it was I had 4H leadership experience, I’d swam, I played tennis, I was in the band. So you have these activities that really can, like you said, you might spend a little more now later, but you could save in college later. [0:21:21] BC: Yeah, absolutely and it’s not about forcing them to do anything but if their interest is there. [0:21:27] MM: Except piano lessons. [0:21:27] BC: Yeah, I kind of fail at that. [0:21:33] MM: I am totally forcing him, “Like you have to do piano lessons,” it’s the only thing I’m making him do. [0:21:40] PA: Character building right there. [0:21:44] KP: Yeah, I think generally if you stick to activities that they can do in places like Venezuela or Brazil, so like soccer, baseball, that’s going to be a better bet in the long term. And in addition to those activities, I would like to ask you guys as parents, what’s the game plan for handling — when do you get a smart phone? Because I would say the vast majority of 12 year olds have in my small rural town have I would say either current generation or second generation so like iPhone5, if you’re kind of a looser, at the latest. So I just want to start on what your thoughts on this and if you plan on your kid getting teased, if you’re going to help them deal with that or explaining delayed gratification because it will happen. I see it every day. [0:22:33] TD: Miranda looks like she has shamed or something, if you don’t already have one. [0:22:37] MM: I have so much shame. [0:22:40] KP: Don’t be ashamed, every parent I know has to do it. [0:22:43] MM: Two years ago I would have said totally 15 years old. 15 years old is when you get your kid a smart phone. Guess whose kid had a smart phone last year when he was 12 years old? MMS 71 Transcript [0:22:53] KP: Yeah. [0:22:55] MM: Because it was and the funny things is and it was because we moved. At the place we live in Utah, hardly any of the kids had a smart phone. Gavin had a sad little track phone, little slide out track phone thing, that was my old one. [0:23:12] TD: You didn’t have a smart phone in Utah pretty much. [0:23:15] MM: I did, no, I did. The last two years I was there I did. But yeah, he had my old slide out thing and half the kids there thought it was cool that he even had a phone at all. We moved to Pennsylvania and we moved into like a ritzy kind of school district and all of a sudden, he showed up and his phone was super, super lame. Even when we got him the better version of the cheap track phone, it was still super, super lame and he wasn’t necessarily made fun of but the problem was his friends had smart phones, iPhones or Samsungs or whatever and they were trying to text him or trying to send him a message through Kick or using Skype or something and his phone couldn’t handle it. So he wasn’t necessarily being made fun of but he was excluded by virtue of the fact that he couldn’t participate because his phone couldn’t handle it. So in the end, we went ahead after he turned 12 and went ahead and got him a smart phone. [0:24:30] KP: So at least in the States, that plan is what we Canadians would call reasonable. I would say the average price of a 12 year old phone plan in Canada is 60 to $65 a month. [0:24:40] MM: Oh no, we’re not paying that price. use a smart phone.” Um yeah, they will. [0:24:50] MM: So we’re on the same plan, we’re sharing the cloud on the iPhone so that I know what’s going on in his phone. MMS 71 Transcript [0:25:03] PA: Yeah. [0:25:03] KP: Yeah, actually that’s just what he tells you about but he’s actually got a Google Drive account — no I’m just kidding Miranda. He doesn’t have a Google Drive. [0:25:13] PA: It’s scary how much the kids know about their phones these days and what they can do and how they can hide things or whatever. If my little five year old son, it’s amazing to me how much he knows about a tablet or a cellphone. He can sit there and play games and pull up this thing and the other thing and then hand it to grandma and she can’t even figure out how to turn it on and he’s showing her how to do it. But for me, I don’t know if I would want to spend a five or $600 for it, a kid to have their own phone. It may have it be one of those things where they need to work for the money for themselves in order to pay for their own phone because I think that could be a danger when you have kids. 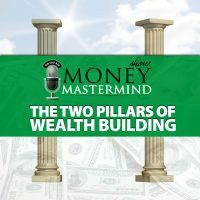 ‘Cause you want to provide them with all of these things but at some point, when are you giving them too much and not saving enough for your own retirement or saving enough for your own plans down the line as well. [0:26:05] MM: Yeah, so the compromise I made with my son because there was no way in this world that he was going to be able to work it out to afford the phone but first of all, I went ahead and I got a phone using this new Verizon program where basically the phone is free and yes, I sold my soul for two years and I knew exactly what I was doing when I did it so whatever. But the compromise that we made was that he had to buy his life proof case. So he had to save up the money and this life proof cases are like $80 bucks. He had to save up the money to get this case that totally encases the phone and protects it to a degree that’s higher than a regular phone case so that was how we went in there with that. It was manageable for him and whatever, so I don’t know? So what are your thoughts Brynne? When are your kids getting a smart phone? intense and amazing and kind of scary because I have no idea how I’m going to spy on them in 10 years, you know? But I mean, we’re probably going to eventually going to cave. I really like the idea of working for it, same thing with what we’ve thought about clothing and when peer pressure starts coming into that. I really like the idea of working for it but like you said, in some situations it’s going to be unrealistic. So I think if we can make it fit in our budget and we’re not going to blow our retirement or anything in order for him to be able to fit in and I don’t think you did that either Miranda. But I really like the idea of working for it and it’s probably going to be in those pre-teen years if I’m honest with myself. [0:28:18] MM: Now you mentioned you had a child with special needs, what are some of the challenges that you face when you’re working on putting together a budget or working on something like that. I mean that is something that obviously I don’t have any experience with and how does that change with the way you use your money and change your planning? [0:28:38] BC: With the health care needs, we have Medicaid for that child and it’s really important because any insurance plan that we have would not cover the services that that kiddo needs other than Medicaid, literary the only thing that covers it. If you have a kid with special needs, you need to get on it whatever humility you have or whatever, it’s not about that. It’s about your kids. So when you’re on Medicaid, a lot of those expenses like therapy, there are certain medical equipment that you might need with different disabilities, all of that in our experience has been covered for our specific child and their specific disability. What really makes it scary for me is not so much the month to month, the day to day, week to week, month to month, it’s more stressful just emotionally and physically than it is monetarily. But long term, what scares me is my child may develop and fully functional as an adult or they may not. So retirement for me at this point isn’t just thinking about me getting to death and not being broke. It’s also considering what’s going to happen to my child when I’m gone some day and that’s something I haven’t totally sorted out. It is really overwhelming but I think that’s where my biggest financial stress comes in because Medicaid does cover so much of what we need. [0:30:21] MM: That’s a really good point that you make is a lot of the time we look at some of these programs like Medicaid or the child health insurance program, which is a little bit different. We look at some of those programs and we say, “Oh well, I don’t want to do that. I don’t want to take their money,” or, “We’re too proud for it.” But the reality is, there are some situations that you really need to do it and you said, it’s about the kids. It’s about doing what’s best for your kid. [0:30:52] BC: Yeah, absolutely and I think every state varies but with some of these programs, I think it’s the medium income for this country is somewhere right between 50 and $55,000 a year. So when we talk about personal finance a lot, there is a lot of stigma around those programs and around like, “Oh well people just need to work harder,” or, “People just need to do this.” I think with programs like that, we’re on it because my child has a disability. No matter how much money in the world we’re making, that disability exist and that’s the insurance we need. But when you’re on the monetary reasons, I think a lot of that stigma needs to be removed when we’re talking about money to the general populous. Because a lot of the general populous falls in an income range where they may need those programs in order to really move up if that’s what they want to do. [0:31:46] MM: Yeah, that’s a really good point. So what are some of the ways then the rest of us with our kids, how do we manage the health — I know how you manage your health insurance Tom, Mister “my kids are covered in Canada”. [0:32:04] TD: We pay your taxes every year. [0:32:08] MM: I mean like now, I have the magic of a great health care benefits program that I don’t have but my ex went ahead and decided to keep my son on his insurance so that’s nice because it is an amazing health plan so I don’t have to worry about that anymore. But what about you Peter? How do you manage your healthcare costs for kids? I mean that’s going to be one of the biggest cost right? that to save on our taxes as well and we just look at our expenses for previous years and start saving up that money so we could pay for it every year. At our house, we’ve been extremely sick the past five years and we are constantly at the doctors so it is a big budget item that we need to consider and we’re spending at least $6,000 a year plus all our healthcare premiums and so forth. That’s one of those big line items that you really need to sit down and prepare for. [0:33:23] MM: I like what you’re talking about how looking at it and planning ahead and I think that’s kind of what we all need to do with all of our cost and all of the things that we think we’re going to do with the kids. And so Kyle, can I ask you a really personal question? [0:33:41] KP: That’s what we do on the show? [0:33:49] KP: Actually, I’ve been scared long before you guys. I teach so I get to see how much of a role of the dice having kids can actually be. We wouldn’t say never but I think at this point, odds are pretty good that we won’t have children. I could see us being — I had an uncle that has a late life adopter of three young girls and I can see us doing something like that as a possibility but we definitely have no plans currently to have children. [0:34:24] KP: Yeah, much to my parents chagrin, but that’s a whole other thing. [0:34:29] MM: Actually, you’ve bring something up now that you’ve mentioned grandparents a little bit. One of the things that I struggle with a little bit is my son is the only grandchild on his dad’s side and so when they send him birthday presents, they just send him like a pile of money like a big pile of money. And of course on the other side, my mom has I don’t know, going on 11 grandchildren or something. I don’t know? But my mom has grandchildren and my siblings keep having kids and so my parents can’t give everybody $100 bucks for their birthday. Part of the problems that I have now is what do you do when somebody is just giving your kids stuff or giving your kid an expensive presents or giving your kid piles of money? I am very uncomfortable with it but I have no idea how to make it stop. [0:35:31] TD: I wouldn’t be uncomfortable with the piles of money because I would teach him savings. We would put it in the RRSP. [0:35:38] MM: Oh yeah, we do that too but. [0:35:41] TD: That’s not our problem, our problem is that nobody wants to give their money. They all want to get them toys. They get the boys toys so we end up with way too many toys at birthdays and Christmas’s and stuff and I would love to have relatives who give a check or cash or something so that we could teach them what to do with it but the opportunity doesn’t exists. [0:36:35] PA: That is a conversation you need to have, sit down and talk about that because a lot of times, people end up feeling that way. Certain people are very sensitive to those types of things where, “Oh I didn’t get a gift from this person that means they don’t like me or they don’t love me.” And for kids, that can be a consideration. So that again goes back to talking with your kids with setting expectations and helping them to be content with what they have and again, it’s hard at times but it has to start young and have to start pounding that into their heads when they’re tiny. [0:37:10] MM: Alright, well, I think that we probably have covered this subject unless anybody else has something they want to throw out there? Crickets. So let’s do our final word, Tom we’ll start with you. What is your final word on raising kids without going broke? [0:37:29] TD: I think the biggest thing with kids is you’ve got to watch out how your emotions can affect things. It’s easy for me to say, “I’m not going to spend money on myself,” but when you have kids, there’s whining, there’s crying, there’s begging. It adds not pressure but certainly emotion where you want to do certain things for them that you might not have done for yourself necessarily either. You’ve got to watch sort of what you teach them by that. Don’t fall for the emotional connection that you have there. [0:38:08] MM: Okay, what about you Peter, what’s your final word? [0:38:11] PA: My final word is to start young with your kids teaching them, like I talked about, the true meaning of money and the value of money and help them to become self-sufficient in life because that’s going to really take them a lot further than relying on all these presents and toys and money and how these things can fulfill and so forth. You also don’t want them to be those boomerang kids that end up coming home after they’ve left home. One poll from the National Dominant Financial Education show that almost 60% of parents are providing or have provided the past financial support for their adult children. So start young so that you don’t end up having those kids that are coming home and staying with you and living with you and never end up leaving. [0:38:58] MM: What about you Kyle, what’s your final word? [0:39:01] KP: Since I don’t have kids, I guess I’ll maybe go back to my experience as a child and Brynne talking about some of the things that she does with her children that are free. I think one of the best things and one of the things that’s helped shaped some of my values is volunteer with your children. Volunteering is obviously free and it teaches them some stuff like never mind the value of money, it can teach them whatever path you chose to go with your volunteering, some things are more important than money and it’s just good quality time. At the time, I didn’t appreciate it and now, I really do especially looking at maybe the lack thereof and some of the students I teach on a daily basis. [0:39:41] MM: Very cool. And Brynne, as our guest, what is your final word? [0:39:46] BC: I think, like was said earlier on the show, there’s a lot of pressure on parents to compete with each other or to help all the things that are advertised to us and that if we don’t provide all those things then we’re failing on our children. You’re not failing your children. They need three basic things, food, clothing, shelter and I’d add love. That’s probably the biggest thing and if you provide that love, no matter what experiences they’re going through in life whether it would be peer pressure or suffering a job loss or something where they have to come home or whatever their situation maybe, I think they’re going to be alright. So just don’t give in to that kind of advertising and peer pressure that we undergo as parents that we need to provide every last thing for them. [0:40:42] MM: Okay, great. Good words of wisdom. So let our audience know once again where they can find you online? [0:40:50] BC: Yep, I write at FemmeFrugality.com and I’m on Twitter @femmefrugality and all my other social stuff’s linked up there. [0:40:59] MM: Okay, great. Well thank you for joining us tonight Brynne and thank you everyone for watching and listening and until next week, be good with your money. Goodnight. Why it costs so much to raise your kids today. What goes into the numbers from the USDA. How you can raise your kids without spending so much money. Tips for taking advantage of resources available for special needs children. Ideas for creating inexpensive but fun memories.